Sourcr | Recruitment Marketplace - Hire Better People. Faster. Finding the right employee for the right role can make a significant difference in not only the success of that position, but the workplace culture surrounding it and the company’s overall projection. 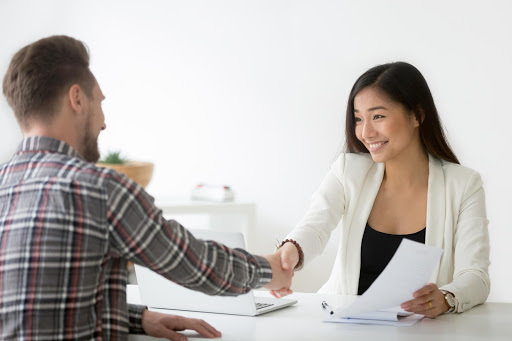 As one of the first points of interaction between employer and candidate, the interview sets the tone for any future relationship that may develop. During this initial meeting, you are given only a short window of time to make critical assessments regarding the candidate’s compatibility with your company. This can be stressful, especially if the position is needing to be filled within a limited timeframe. Having a structured process in place prior to and during the interview can increase the probability that your placement needs as an organisation are better met. 1. Define who you’re trying to hire. You can’t determine where to start if you don’t know where you want to finish. What does your ideal candidate look like? What skills are essential to the position? What emotional intelligence do they need to culturally fit within your team? Outline the required responsibilities, who they will be reporting to and what skills they need (such as education or technical experience) to succeed in the role. Until you answer these questions you can’t create a sound process for future steps. 2. Decide how you’ll evaluate candidates. What are the skills needed that are non-negotiable for this role? What skills/abilities have some leeway relative to the position? Your culture, the type of position you’re hiring for and your company’s mission should indicate what traits are the most important that a candidate should possess. For example, in a customer facing role, are soft skills more important than hard skills? In a technical role, do they need to be familiar with a particular software that you use? Determine what the critical competencies of each role are and rank the candidates in accordance with their importance. 3. Outline the interview process. In many cases, unconscious bias and a candidate’s likability can impact the success and quality of the hire. When a rapport is built with a candidate based on irrelevant information, their competencies can become blurred when comparing them with other candidates. Through the creation of a clear interview process, you are better able to evaluate each candidate fairly on the skills that are truly important to the role. Create a general framework for each interview and attempt to stick to that structure throughout. Once you’ve followed the above steps, you can begin creating questions to reflect those goals. What sort of working conditions do you prefer? This question can help identify whether the candidate is going to fit into your company’s culture or not. As an example, If your organisation is connected and collaborative, you don’t necessarily want to hire someone who likes to be left alone to do their work. What do you hope to gain from working here? Listen carefully for short term vs long term goals in response to this. Answers like “a paycheck” or “shorter commute” in contrast to “career development” indicate whether someone is just looking for a job or looking to build a career with your company. Vague or non-responses can also signal a lack of research undertaken about the company. What would have made you consider staying at your last position? Interview questions offer a great opportunity to investigate for specifics. By uncovering the hypothetical circumstances that would have led to a happier worker, you can help identify compatibility between company and candidate. Individuals may already have a pre-rehearsed answer to the generic “Why did you leave your last job?” question, which is why this particular question is designed to get them off their toes and illicit an honest response. Rather than asking an interviewee to point out their flaws and poke holes in their own candidacy, you can turn the tables by focusing on the areas they wish to improve (The Muse). This question is a great opportunity to assess whether the candidate is self-aware and if they are making strides towards self-improvement. At the end of the day, your interview questions should reflect who you are as a brand and what kind of employee you require. Remember, the interview connects the company with more than just the successful candidate. Online review sites like Glassdoor hold a microscope over the way your company conducts its interviews. To keep your brand image intact to attract future candidates, follow up with each candidate and offer feedback regarding their applications. Sourcr is a recruitment marketplace that connects Employers to specialist recruiters across Australia. © 2017-2019 Sourcr Pty Ltd. All Rights Reserved.